Big Pitch Ada finalists prior to the competition. From left: Collin Quinn Low, Miranda Carrizales, Chris Crawford, Ada Jobs Foundation staff Srijita Dia Ghosh, Pradip Poudel, and Louden Johnson. Not pictured is Christine Pappas. 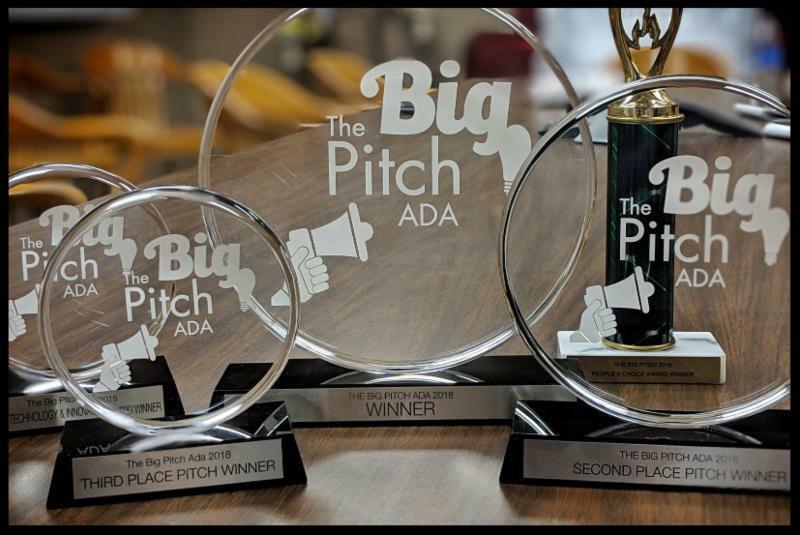 ADA, OKLAHOMA- Six start-up companies competed on November 13 for cash prizes during The Big Pitch Ada hosted by the Ada Jobs Foundation (AJF). Entrants applied to compete from across the state, with judges selecting six finalists to pitch their business idea, connect with investors, and win prize money to further their innovation. The selected finalists had five minutes to make their business pitch to a panel of judges consisting of industry experts, which was followed by questions and answers with the judges. 1st Prize and People's Choice awarded to Collin Quinn Low with WOGO. WOGO is an Fashion-apparel brand that exists to outfit widows and orphans in distress. 15% of all sales go to this mission "Change your wardrobe, change the world." 2nd Place awarded to Chris Crawford with Pocket Pods. Pocket Pods are a variety of Minimalist Wallets that make carrying cash, cards, and keys easy and accessible. 3rd Place awarded to Miranda Carrizales with McNoodle's Craft Emporium. McNoodle's Craft Emporium is a handmade crafting business that can be broken into 2 separate groups. First, we create pre-made costume and accessory items for events such as Renaissance Festivals, Halloween, and cosplay. Second, we take in custom orders from the surrounding community for any range of creative function. These custom orders can be costume pieces, but more often are things like airplane seat covers, jewelry for specific body types, or personal classes to learn a new creative skill. Water Tech Prize awarded to Christine Pappas with Frack Glass. Frack Glass markets crushed glass made from recycled glass bottles to oil and gas companies for use in place of frack sand. The other companies making pitches included Louden Johnson with J3 Solutions and Pradip Poudel with Smart Rain Barrel. 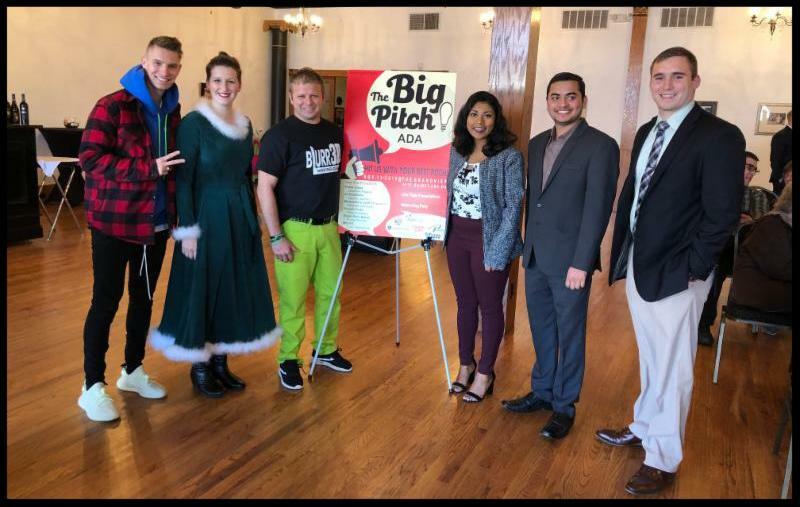 "All six companies made great pitches, which made the judges job very difficult," said Srijita Ghosh, AJF Entrepreneurship Specialist. "As we continue to grow entrepreneurs and business ideas in our community, we look forward to hosting this event again and others to support innovation and job creation." Thank you to our sponsors LegalShield, ECU Foundation, Citizens Bank of Ada, Vision Bank Ada, The Grandview, Lovera's Handcrafted Foods, and the Ada Chamber of Commerce.